The museum is a smaller scale than the one in Indianapolis but there's still plenty enough there to keep your kids entertained for hours and hours. Mine - who are currently 10, 6, 2, and almost 10 months - are always excited to go back. On this particular day we spent almost four hours there and my kids still weren't ready to go! 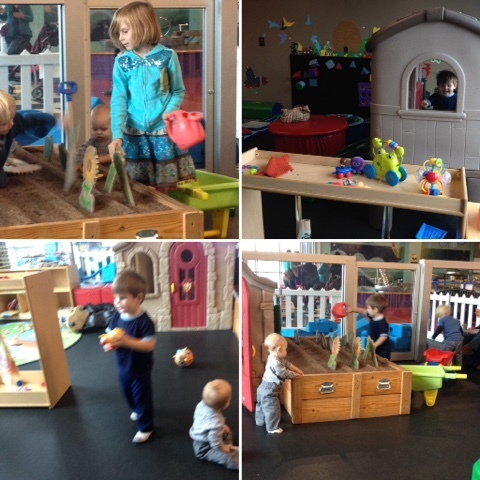 All the different exhibits and activities at the museum encourage imagination, discovery, using science and math, curiosity, pretend play, and thinking skills. 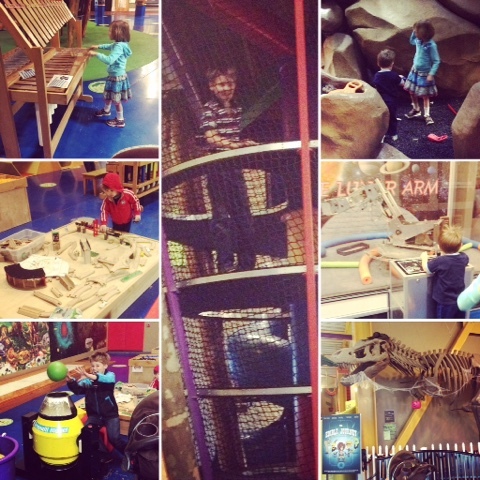 From hands-on building and exploring, to creating, climbing, and reading - my kids always have fun and learn a lot too. I especially love all of the pretend play experiences they get to have - there's a grocery store for them to shop or work at, a kid-size kitchen they can cook and bake in, a TV set up with green screen & cameras so they can pretend to do the news or weather, and a vet's office (seen below) that was a HUGE hit with my animal-loving daughter especially! The museum offers a variety of different special events. 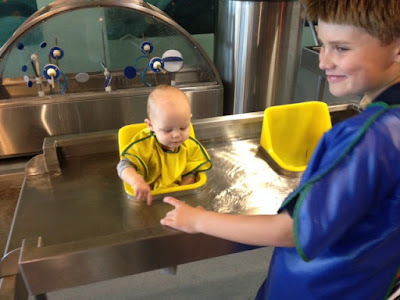 On the day we visited the museum, I had also signed up my smaller children for their special Tot Time. 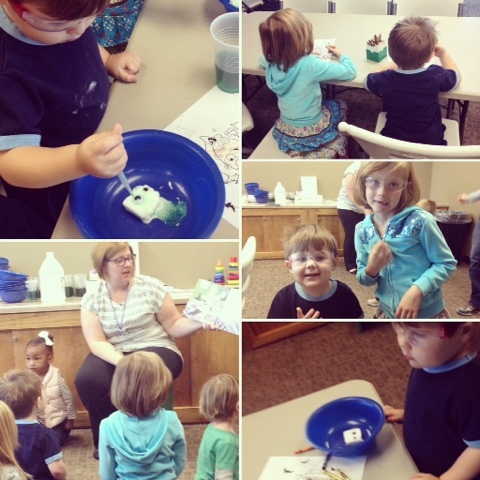 Tot Time is a FREE science-based educational program for kiddos ages 2 - 5 and their parent/guardian. Tot Time is held on the 2nd and 4th Tuesday of the month at 10:30 AM. (Please check their schedule for any changes/exceptions. Also - you must register each kiddo you are bringing ahead of time so they can plan for enough equipment or materials. I mistakenly only registered one of my kiddos - it didn't turn out to be a big deal but I'm letting you know so you can plan & let them know accordingly!) Each month has a different theme and the children get to participate in story time, a science project or experiment, and other fun activities. Since we went right before Halloween, the theme was Spooky Science. In the picture below you can see my kiddos listening to a story about 10 spooky ghosts and putting on their safety glasses to do their science experiment - making ghosts disappear! They had a lot of fun. 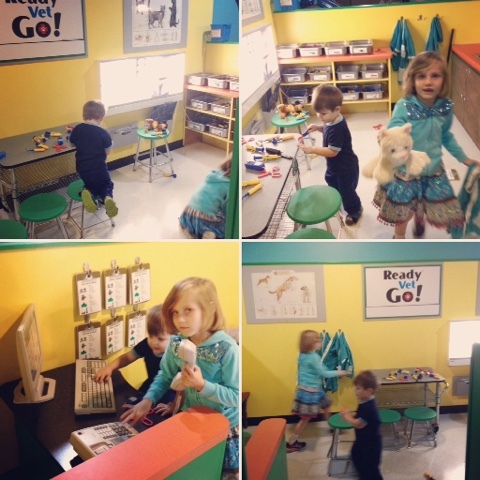 In addition to Tot Time, the museum offers many other activities from summer camps to special family days. Some upcoming events: Science Saturdays focusing on Chemistry and Science Labs, family friendly events like downtown Terre Haute's Family First Fridays, Paint & Play - a painting program open to anyone over 5 years old, and a Daddy Daughter dance. You can also plan field trips there for your group or rent facilities at the museum for birthday parties, meetings, and other events. Disclosure: We have been to the museum a handful of times. However to facilitate this review, my children and I were given complimentary admission for one visit.